I have seen member after member here at English Bulldog News become shocked when they found out that the $55 bag of prescription dog food they just got at the Vet ranks low on the dog food ratings. They assumed since it was a prescription, and they got it from the doctor, who is supposed to make your dogs feel better.... it should be top quality! Right? Wrong! I don't believe Vets are educated in nutrition like human doctors are. If every vet started educating people on a good nutritional diet for their pets, don't you think they would go out of business? I am sorry if I sound harsh..... but I do not know any vets who will tell you the stuff on their shelf is bad dog food. And until you get on the perfect dog food for your pet and experience the difference it will make in their overall health for yourself, only that will make a believer out of you. ***Please note there are great vets out there that care about the nutrition of your pet. Many dogs do require prescription diets for specific diseases and ailments. You should always consult your vet before changing a prescription food. You should always discuss nutrition with your vet and find out what 'side of the fence' he is on, and see if there is any alternatives or tell you why he is prescribing a specific food to you. POWER TO THE PEOPLE.. !! and Down with PURINA ! So helpful because I fell for the Beneful with my mixed breed dogs and they loved it...Nigel got a hold of it and loved it but I had to get it out of the house and change the mixed breeds to Nigel's food. So everyone was eating Holistic Select Salmon but then Nigel got finicky (like his daddy @Davidh's "Buddy") so when Mrs. 'DavidH' suggested Fromm Beef Frittata I switched and all doggies eat that now. I also thought Beneful was good. Roxy loves it, it's all she will eat. 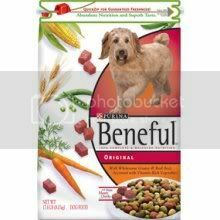 Then when Abby showed up and we switched vets I found out that Beneful is sprayed with fat and that's what makes it so appetizing for them. She said I might as well be feeding my dogs a diet of french fries. Now I tell everybody that I know who feeds it to their dogs, most are grossed out but I don't think any have actually switched foods. I don't get it. I thought it would be nice to this article for our new members! Great article! When we first got into the pet food business I was taught by the holistic veterinarian who formulates our food to look at the first 5 ingredients on the label. Those first 5 ingredients can tell you right off the bat if it's a good quality food. Then you have to look closely at the rest of the ingredients. excellent article. will be using it as a guide. Any recommendations? I am feeding my dogs Beneful right now I used to buy Iams Mini Chunks, because it was easy for them to chew up. The only brand I really didn't like was royal canin, because it made their feces really soft and runny. impossible to pick up. Fromm, natures logic, natures variety, blue wilderness, blue basics... These are a few popular brands on here. 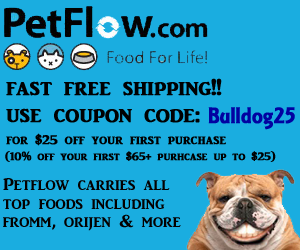 Some cannot be bought at regular retailers, some are found in feed stores or pet boutiques, but all can be found on petflow. Loved this post, very informative. I am a new bulldog mom and want the best for my lil guy!! Does anyone have any info about 4Health brand(it is from Tractor Supply Co)? I didn't find it on the rated list. These are the first few ingredients: lamb, lamb meal, cracked pearl barley, ground white rice, peas, egg product, chicken fat. Does that sound like its good? There is a member that does use this (can't remember screen name) and it works well for their bully. personally, I prefer grain free foods due to allergies that tend to come along with them. It looks like a good food, I looked at it myself. It would go likely in the four star range, and looks like a decent food especially for the price. If I remember correctly, it was only about $30-$35. They may also carry grain free so you may want to look into that as well. Bump, great article for new members wondering about food, esp Beneful! What about Royal Canin dog food?